Planning for ITMA 2019 ramping up! Home /Planning for ITMA 2019 ramping up! 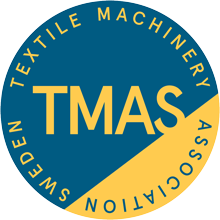 TMAS spring meeting will be held at Baldwin in Arlöv 25-26th of April. Alert! Deadline for ITMA ASIA February 28! Home /Alert! Deadline for ITMA ASIA February 28! TMAS and TEKO members also joined for a dinner during the exhibition. Premier is scheduled for February/March! Stay tuned! The ITMA exhibition , which opens November 12 in Milan, is usually referred to as the “textile fairs Olympics” .